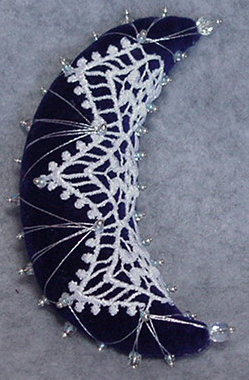 Our moon pincushion kit contains a deep blue velveteen and contrasting white lace trim. Included are icy blue and silver seed beads and czech cut crystal beads. Silver threadwork completes the look.